EMFX trading represents between $80Bn to $120Bn turnover per day, with the main trading centres being Singapore, Hong Kong, London and New York. As G10 margins continue to contract and risk appetites reduce, traders are demanding increased exposure to EM. This, combined with a shifting focus towards China, is driving the trading of EMFX to become more electronic. E-trading of EMFX continues to have increased risk relevance in the main trading centres. It is expected that the increased efficiency and transparency created by e-trading will create increased liquidity and significant growth in EMFX volumes, in the same manner as G10 currencies since 2000. The Bank of England Joint Standing Committee stated that London EMFX activity order lexapro india alone grew to $55Bn per day by October 2015. Recent economic events and volatility have driven activity and interest even higher, further driving the need for increased efficiency and regulatory choice. R5 offers a new, low cost, regulated electronic liquidity pool, which is clear, compliant and counterparty specific. It has been built in close consultation with EM market participants, resolving the issues of credit, clearing, access, regulation, liquidity and control. R5FX Data Protection Policy – Click to download. R5FX Complaint Procedure – Click to download. 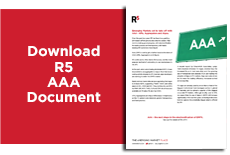 R5FX User Guide – Click to download.